It takes an amazing wedding photographer to create a spectacular wedding album. Fortunately, Wow VIP Events can offer you both! Whether you prefer vibrant color, dramatic black and white, classic sepia tones or a combination of these styles, our professional photographers will work with you to custom create your unique wedding album. We creatively combine photojournalistic, traditional, and contemporary styles of wedding photography to present you with a wedding story you will treasure forever as a family heirloom. Our photography services include digital, 35mm and medium format photography. Wow VIP Events also offers an exclusive internet wedding photograph service. We make your photographs available for viewing on the internet the very next day! This is a wonderful treat for friends and family who could not attend your special day. We invite you to discover Wow VIP’s unique, professional and affordable approach to wedding photography in Dallas Texas. Wow VIP Events creatively combines photojournalistic, traditional, and contemporary styles of wedding photography to present you with a wedding story you will treasure forever. 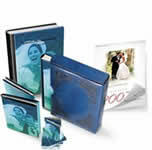 As a treasured heirloom, your wedding album will bring your special day to life again and again. 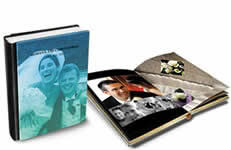 The bride and groom wedding album is the perfect way to record a perfect day. Our professional and skilled photographers will enhance and personalize your album for you using sophisticated print technology and graphic design. Parents, relatives and friends will want to remember your special day as well! Wow VIP Events also offers a timeless collection of parent’s books, pocket books, and a large format calendar filled with your most memorable and special photographs. Fill out our Request a Quote form for more information on our wedding photo albums.